I was sitting in a boardroom with about six different members of a customer’s C-suite executive team when one of the most common -- and potentially challenging -- questions came up. I think a lot of organizations can appreciate that sentiment. Whether you’re a large enterprise or one of Canada’s many small and medium-sized businesses (SMB), every investment in technology has to be made carefully, and with maximum attention to return on investment (ROI) in mind. In that sense, proving the value of case management isn’t usually that difficult because it addresses such a critical area for many businesses. For those who haven’t used it before, case management applications essentially create a single place to collect details about what customers are asking or struggling with across everything from contact forms to email messages and, more recently, social media. For contact centres, case management has been game-changing because tools like Service Cloud allow agents to access the information they need quickly, from anywhere and organize it to solve problems more easily. They can escalate urgent issues by routing them to a coworker with specific subject-matter expertise, for example, or prioritize other cases into categories that would be addressed by a specific set of policies. 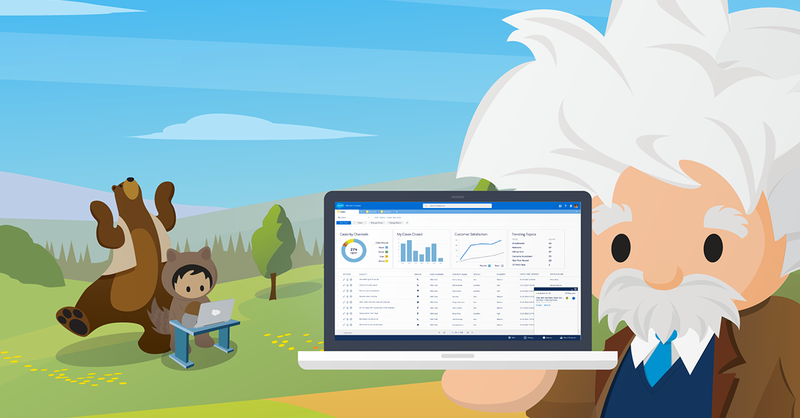 What most people may not realize, however, is that Salesforce’s case management technology is by no means limited to customer service scenarios. In fact, having a CIO ask me that question was extremely fortuitous, because it opened up a conversation about other areas of the business where case management could be applied in innovative ways. The customer I’m talking about, for example, often needs to bring on third-party organizations as partners or dealers to help grow the business. That process, which is called onboarding, can involve a lot of steps, and in anything that involves a lot of steps, many things can go wrong or take extra time. At this firm, onboarding was taking seven to nine months, on average. Having known this organization for a while, I was familiar with their onboarding challenges so I responded to the CIO’s question with one of my own: Would he be interested in cutting down the time it takes to onboard a new dealer in half? I think you can imagine his answer. Here’s why case management was a good fit here, as it is in so many other areas: a lot of the work that goes on within a business involves capturing information and using it in some kind of workflow. The problem is that a lot of the information workers need is poorly organized or difficult to get. It may be written down on Post-It notes all over the monitor on someone’s desk, for instance, or hidden away in a filing cabinet somewhere, or more often, buried in an email chain. When those people leave the company -- even just to go on vacation -- work can slow down even further because they might be the only people who know where certain data resides, and you need that data to get things done. Just as customer service data became increasingly digitized through email, chat, social and other channels, you can use case management to collect, capture and automate the workflow so that it’s not all just sitting “out there” somewhere but ready for immediate action. The greater the volume of data and the more workflow is involved, the more case management technology can provide value to the problem. I’ve seen this first-hand here at Salesforce. There was a time, for example, when managing the process of making a request for paid time off (PTO) or personal leave was a very manual, onerous one. We recognized, however, that those requests were a lot like a case, which means they could be captured by the technology, routed to the various people who need to review or approve the request, and add the necessary information to team members’ calendars. When I visit customers, I’ve sometimes thought, “Let me loose in here for two or three hours and I’ll show you what this technology can do.” And I know I’m not alone. For example, once we were able to help the customer I was talking about earlier with their onboarding issue -- reducing it to a matter of weeks rather than months -- the CIO was ready to explore the potential of case management even further. There was a process over here that might apply. There was a process over there. It was like a light bulb went off and the C-suite began discussing other potential uses for cases right there in the meeting. I’d like to see that light bulb go off in many other organizations as well. Case management doesn’t have to be treated as a “break/fix” technology that is only brought in when customer service challenges have become too critical to be ignored. A case is really just an object that contains data, which can then be used in a myriad of ways. The important thing is to identify the core business problem, what kind of data and workflow is involved, and from there develop a strategy that can leverage the technology. It may just be a matter of thinking “What else” when you’re considering something like Service Cloud for your company. This is something that can be discussed internally, of course, but you can also turn to experts from Salesforce directly, as the CIO in this situation did with me.